Catering is available, please contact us for details. 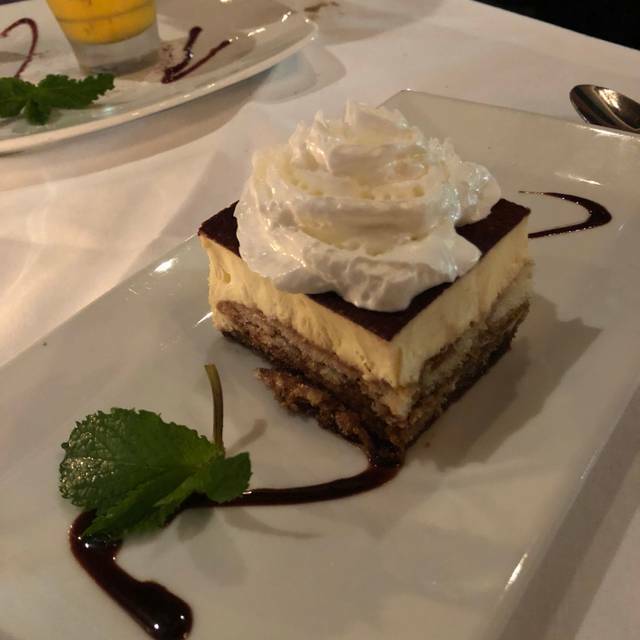 Da Vinci Ristorante is renowned and highly recognized in Boston's stylish restaurant scene, bringing wonderful flavor and ambiance to the South End/Back Bay area since 2007. The sophisticated interior is warm and welcoming and the staff extends that feeling to each and every patron. The recently redesigned and modernized space features a comfortable full service bar. Menu reflects a blend of modern and classic Italian cuisine from his training in Europe's Italian restaurants. 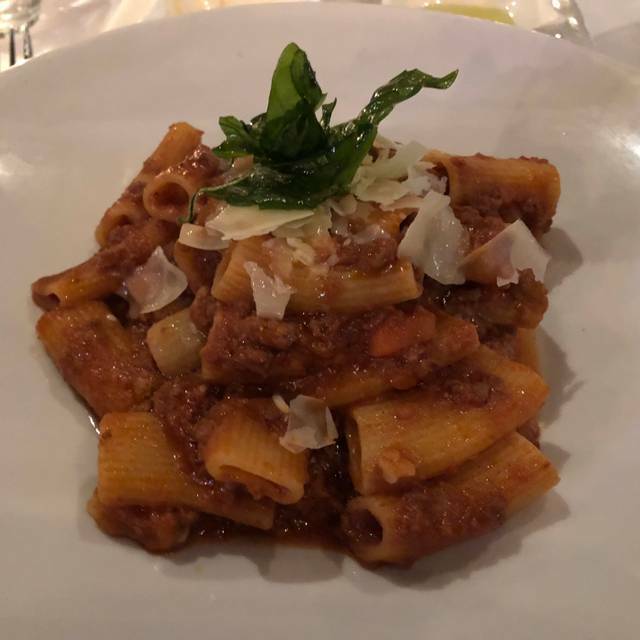 It features an array of beautifully presented Antipasti and Entrees, and the chef's homemade pastas are made fresh every day as is the bread and all desserts. Great emphasis is also placed on accommodating guests with dietary, gluten free, vegetarian and vegan restrictions to ensure that each and every guest has an unforgettable experience from start to finish. Pan seared sea scallops with a side of pumpkin seed, mint & kumquat chutney. Served with a micro green, corn, Shitake mushroom and red onion salad tossed in rice wine vinaigrette. Whole leaves of baby Romaine tossed in a white truffle infused dressing. Served with white anchovies and a fried poached egg. Alternating slices of homemade mozzarella Buratta, local tomatoes; drizzled with extra virgin olive oil and balsamic reduction. Baby kale leaves tossed in a lemon vinaigrette and finished with grated Parmigiano cheese and almonds. Risotto rice balls stuffed with mozzarella. Lightly fried and served on a bed of thinly sliced smoked Prosciutto di Parma. Baby arugula mixed with red onion, avocado and lime vinaigrette. Fried tempura flour calamari served with tartar sauce. Our signature Prince Edward Island mussels in a light broth of lemon, white wine, butter, capers and cherry tomatoes. California Mission figs stuffed with honey and Gorgonzola. Wrapped in Prosciutto di Parma and finished with a balsamic vinegar reduction. Served with a micro green, red pepper, asparagus and red onion salad. 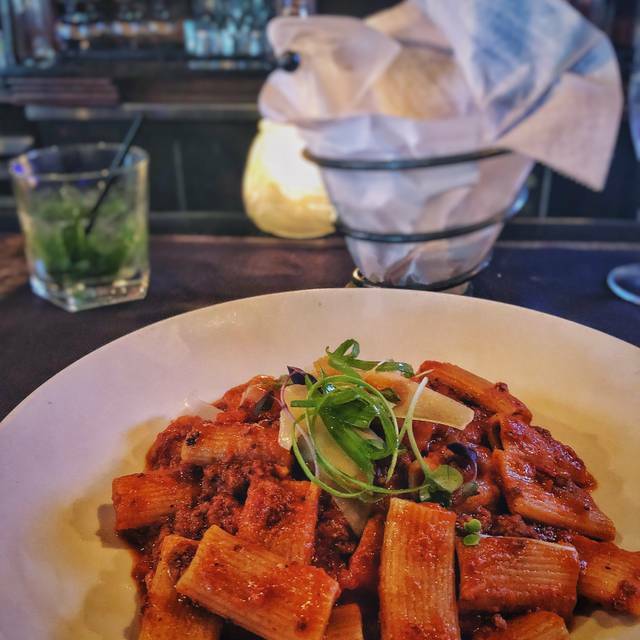 Homemade rigatoni pasta tossed in a slow cooked sauce of tomatoes, ground sirloin and red wine. Topped with shaved Parmigiano Reggiano. Also available spicy. Housemade ribbons of pasta tossed with pancetta, asparagus, sundried tomato, English peas, and white wine garlic butter sauce. Finished with smoked mozzarella. Homemade spaghetti with mussels, calamari, shrimp & scallops tossed in a white wine plum tomato sauce. This homemade Indian - Italian fusion ravioli is stuffed with ricotta cheese, English peas and ginger then coated in a spicy tomato cream sauce. Finished with a curry leaf pistachio pesto. Homemade pasta stuffed with crabmeat, mascarpone cheese and leeks. Topped with sautéed shrimp and served over a sauce of white wine, cherry tomatoes, English peas and cream. Homemade potato dumplings with sautéed wild mushrooms and fresh mozzarella. Accented with white truffle oil. "A favorite of The Phantom Gourmet." An 8oz. center cut filet grilled to perfection and finished with a Chianti veal demi glaze reduction. Served with a ragu of pancetta, red potatoes, red onion & parsley and a side of baby carrots. Panko crusted boneless chicken breast topped with a plum tomato sauce and melted mozzarella di Bufala. Served with a side of "Angel Hair" pomodoro. Grilled striped bass served with an arugula, cucumber and cherry tomato salad. Finished with an artichoke & mint tapenade. 16 oz. 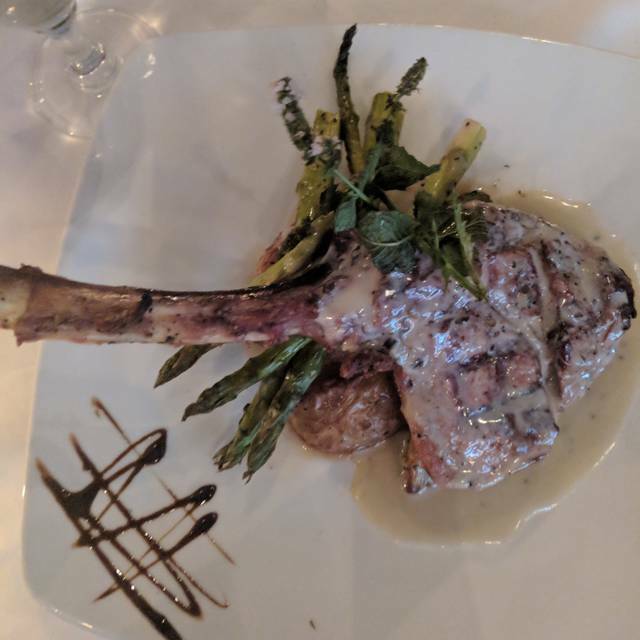 bone-in Ribeye grilled with roasted rosemary and served with baby potatoes and sautéed asparagus. Finished with a red wine, Porcini creamy sauce. 14 oz. veal porterhouse grilled and topped with a creamy Gorgonzola fig sauce. Served with Yukon potatoes and sautéed spinach. Grilled Colorado rack of lamb encrusted in sun dried tomato infused bread crumbs and topped with a basil & pine nut pesto cream sauce. Served with a side of roasted fingerling potatoes and spinach. Decadent and rich chocolate soufflé served with vanilla gelato. Crème caramel infused with vanilla then drizzled with crème anglaise. A trio of Chef Peppino's homemade gelato or sorbet. Puff pastry topped with thin sliced peaches and baked to crispy perfection. Served with fresh berries and vanilla gelato. Rhubarb & strawberry pie with a chocolate chip peanut butter cookie crust. Served with vanilla gelato. A selection of house favorites including soufflé, peach crostata, crème caramel and vanilla gelato. * The Commonwealth of Massachusetts suggests that raw or undercooked meats or seafood may increase your risk of food borne illnesses, especially if you have certain medical conditions. **Gluten Free Option. We never had a server. We had to request for drinks, bill, entree from passing servers. We overheard all the other tables complaining about the level of service, the incorrect food being delivered, the wait for drinks. Overall was an uncomfortable atmosphere. It felt like there was no management present. I would NEVER recommend this restaurant. And be advised this is the ONLY negative review I have left ! I simply do not want anyone else to experience what we experienced ! Helpful staff, very accommodating, nice atmosphere with appropriate level of background music. Becoming a frequent visitor as a couple and also with friends visiting. Looking forward to our next night out. This was really good, unique food (we had the vegetarian chef's menu). If someone was looking for dining in this price range I would definitely recommend it. I appreciated the jazz music, though it did seem to get louder later into the evening... It was, for most of the night, suitable for conversation in normal tones, which is so refreshing in Boston where the objective seems to be to turn over tables and the high decibel level seems to help do that. We were there to the end of the night and the work of shutting down the restaurant was going on around us which wasn't particularly pleasant, and unexpected for a $250 dinner. But all that said, it was a lovely night. The wait staff and the chef as well were all communicative and pleasant. I would return. This place is definitely a Gem. Beautiful and elegant atmosphere with nice jazz like music in the background. Well crafted drinks, superb and prompt service, and the food was NOTHING short of amazing! Kudos to Chef Tony. He was so welcoming, considerate, clearly skilled, and attentive to our needs. I can’t get over how good everything was. Each dish was packed with a series of rich unique flavor and fresh quality. I will definitely be back! Excellent service and very flavorful, unexpected combinations! Chef catered to each of our needs. Highly recommend. The place was very nice inside and the service was good. I got the ribeye and it was medium well when I ordered it medium rare. After dinner I ordered a negroni and it was just okay. I honestly expected a higher level of execution from both the kitchen and bar. What really rubbed my the wrong way was being charged $21 to vallet the car. I have never been charged to have my car parked at a restaurant I was patronizing. I would think twice before returning. Davincis is amazing . It’s my favorite Italian restaurant in Boston and they always make the BEST gnocchis I’ve ever had. The drinks are always well made and the staff is beyond friendly. Always a pleasure to go there. Had called to ask for special decorations for a sweet 16 celebration dinner and then I was asked to email my requests in addition to speaking with the manager. A phone call should have done the job since I was speaking with the manager. I hung up with no confidence that this was going to be done well so decided to forego the additional request. Arrived for dinner, ambiance was nice and staff was friendly. Disappointed with portion size such as 2 scallops on appetizer plate. 2? Definitely not a plate to share. Wait staff was a bit too eager to clear the table, actually taking my plate with food still on it as I am still chewing steak. Asking if a customer is done once food is swallowed would be nice before reaching in for my plate. I paid enough for the plate, I should have whatever time I need and want to finish without feeling like I'm being pushed out the door. This was the tone throughout the entire meal. We were even asked to order dessert that could take 20 minutes to prepare when we just started eating the entree'. Not ready to switch gears to dessert when I just starting the main meal! The restaurant was not full, plenty of open seats so what was the rush!? Won't be back. The food was delicious, but although we were there on a very slow night, it was all we could do to get the attention of the wait-staff to take our order and bring our bill. You would have thought we were asking a favor. Food was delicious! Service was excellent. Cute, cozy enviornment. Will definitely be returning! We were seated along with about 6 other tables and could tell we were not going to have efficient service. Sure enough, we waited about 20 minutes before being greeted. We asked for water and that took another 20 minutes. The soda was flat and had very little syrup so it was sent back and the second one was the same. We had a 3-course dinner (it was Restaurant Week) and no one ever checked back when our food was served. We asked for salt and pepper and before we could use it the busboy took it away to another table. I actually had to waive my napkin in the air several times to have it brought back and then they did it again. I had eaten there before and had no issues. A manager said he would call me to discuss the experience and he didn't. There are a lot of good restaurants to enjoy in Boston. This is not one of them. We arrived early and host was able to seat us immediately and told us our waiter David(?) would be over in just a few minutes. We were greeted by the busboy who brought us water then the sommelier came over to answer any questions on the wine and take a drink order. We were not drinking wine so he removed the wine glasses. He brought over our drinks and soon after the busboy brought over some bread. This is 20 minutes and still no waiter. Finally after finishing a piece of bread, I tried to get someone’s attention since we have yet to place our orders and it’s passed 30 min. The sommelier comes to the table and I ask him why we haven’t seen our waiter because we would like to order. He replies that he can take the order so we order however no explanation or apology was given. All 3 courses are brought to the table by the busboy and after each one no one comes to the table to ask if we needed anything or ask how was everything. The time in between each course was off. Too long between appetizers and entree considering after they cleared appetizer we waited 15 min. Finally when ready to leave we had to ask another person for the check and when sommelier dropped check he thanked us and said have a good evening still no apology or explanation and it was obvious he knew we were disappointed and upset. If You’re in Boston Da Vinci is a must visit. 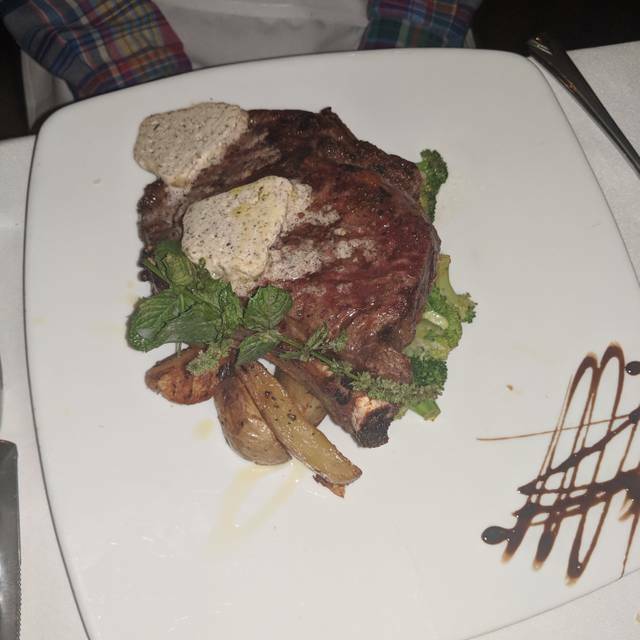 The food was delicious, the service (I was at the bar) was friendly and professional, and the atmosphere was upscale but not stuffy. To start I had the Arancini which was exquisite, for an entree I had the Gnocci which melts in your mouth, and for dessert the chocolate musse cake. You should have all three if you go. I cannot recommend Da Vinci Enough. Definitiely will be back! 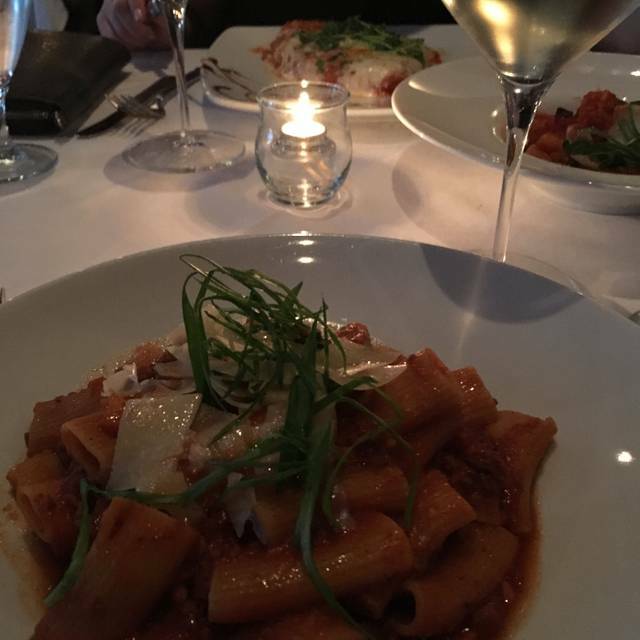 DaVinci offered great food, a great atmosphere, and a great experience. This has been our favorite Boston restaurant for years and since Chef Pepe sold it, it is off our list. The choices are few, the wait staff is not what Chef Pepe had - we will never return. The waiter never asked how I wanted it prepared. I have visited Da Vinci before and had a great time the first time at the restaurant. Wanting to experience the restaurant again, I thought it would be a good idea to return for dinner before a show in the area. However, it was a mistake. The service was really bad and slow and the staff and manager were inattentive. My partner and I were not the only patrons that felt that way, people around us felt the same way. It took over 10 minutes before anyone came and serviced us and offer us water. The manager, who was servicing us, was not friendly. There seemed to be a plenty of staff standing around but service was still slow. I do not foresee myself returning to the restaurant any time soon. Food was fantastic, compliments to the kitchen staff on some amazing dishes. Unfortunately the experience was ruined by poor service. We were visiting Boston to celebrate our anniversary so it was a shame to have such poor service. We did not seem to have an actual waiter/waitress for our table. Someone who I believe to be the manager took our drink and food orders after waiting 15 minutes to be acknowledged (I say I believe because no one introduced themselves to us the entire evening). We had the food runners deliver us our appetizers and meals but no one asked if we wanted another drink, nor how our meal was. After sitting with finished entrees at our table for 20 minutes, I had to flag down a waitress who walked past us multiple times to have the table cleared and for the check. We were also not offered any dessert nor any explanation as to why we did not have an actual waiter/waitress assigned to our table when the restaurant was not even filled on a Saturday night. If it wasn’t for the delicious meals the entire evening would have been ruined. I wish I could justify giving the restaurant a 2nd chance, but this experience was just too poor to want to go back or even recommend it to anyone, especially for the price. I was relatively disappointed with my experience with Da Vinci. I did not like the food and the service was not good. I ordered the chicken parmesan and the chicken did not have any taste. Honestly, the little bit of pasta was better tasting than the whole chicken. Honestly, I would have preferred a full plate of the pasta. I would not recommend ordering the chicken parmesan from here nor would I recommend a friend to come here. The food here was below our expectation. Many people said that the pasta here was really nice but during the time we visit, it was just common and didn't have any special tastes. Also, the service there was not that nice. There was a passionate waiter which we consider to be good. However, there was one waitress who didn't smile at us and seemed lack of patience. We had a high expectation of this restaurant but overall it was not that great. The atmosphere in DaVinci was really nice. Two of us chose the salmon special from the Restaurant Week menu over the salmon dish on the regular menu because of the sides described, in particular the risotto on the restaurant week version. When the dishes were delivered to the table, they were the regular menu preparations. The person who delivered them explained that there had been a typo on the special menu and that they did not have a special version for restaurant week. Shouldn’t the waiter have explained that to us when we ordered? Neither one of us would have ordered the three courses if we’d known. 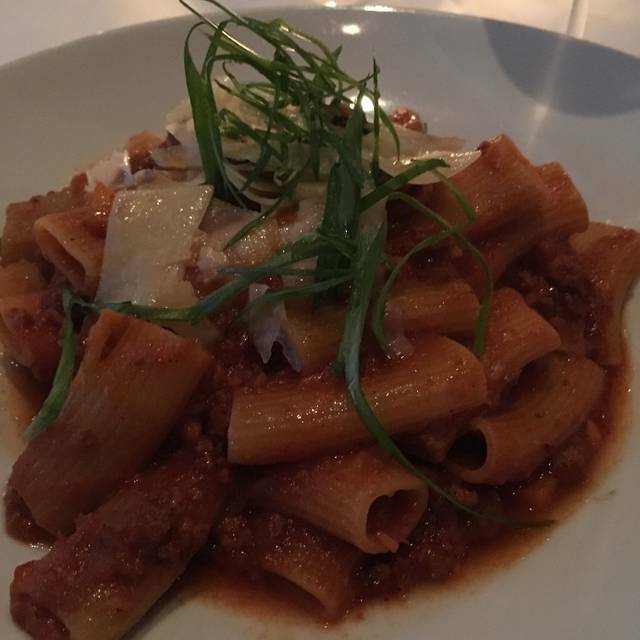 Restaurant week in Boston - great meal, great service, great price! The scallop appetizer far exceeded expectations. My wife’s duck exceeded expectations as well. The minestrone provided a healthy warm start. All of the dishes presented beautifully. The crabmeat ravioli disappointed somewhat: too rich, hard edges on the pasta. The new ownership did not honor our gift certificate. The restaurant provided us with a parking validation ticket that was expired. DaVinci's food quality and flavors are 2nd to none. A favorite pick of my wife and I's. I went to Davinci to celebrate an anniversary with my wife. It was our first time at this particular restaurant and we had seen that there was good reviews online. We were greeted and seated by a lovely woman named Amanda. The place is cozy and it has that old school Italian feel. I started with the arinicini and we each had a glass of merlot. The food was great (I recommend the indian infused masala ravioli). The dessert platter was out of this world and overall the night was exactly what I was hoping for. I would recommend this place to anyone in the area and I plan on coming back soon. My wife and I came in for dinner on Saturday night. We made a last minute reservation on the way in to Boston to celebrate her birthday. We got to the restaurant about 20 minutes early for our reservation and the manager gave us a complementary glass of prosecco because we had to wait for our table even though it was our own fault we had to wait. It was certainly a nice touch. The bartender did a great job pouring drinks as well. Too many bartenders are heavy handed and it takes away from how the drink is supposed to taste. From the complementary bread with oil & hummus to dip in, to our calamari appetizer, though the Crème brûlée and gelato for dessert. I had a lamb shank with saffron risotto special (the meat fell off the bone!) 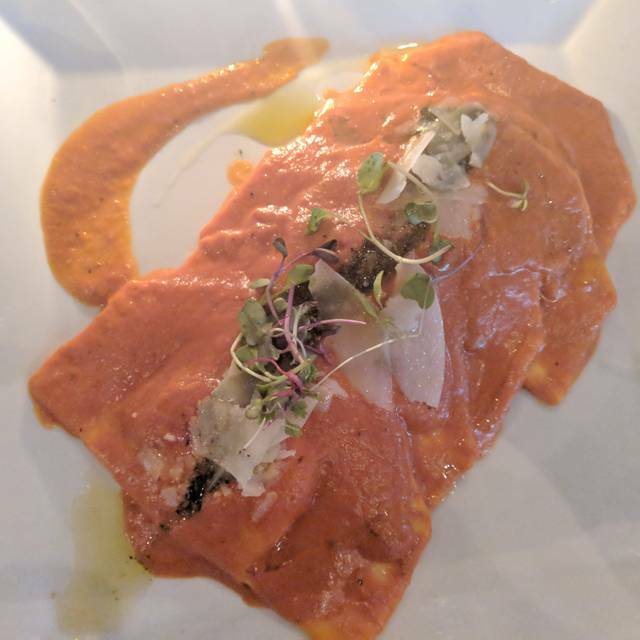 and my wife had the crab stuffed ravioli. We thoroughly enjoyed the entire meal! I spent most of my youth in the restaurant industry, so I have a knack of picking up when things are a little bit ruffled. We came in at the beginning of the next round of seating and the staff did a great job of backing each other up. You would never know there was an issue unless you knew what to look for. I would definitely try them if you had an opportunity. It was a great way to start our weekend in Boston. and we will definitely be back. The restaurant was recommended by a friend for good Italian food. And the food was indeed very high quality and tasty. What didn't work out was that all the vines we requested were either sold out or the wrong year. None of the Piemont or Chianti were available in the published 2011/12/or 2013 vintages. It is ok if you run out of one vintage, but apparently the wine list wasn't updated for a long time. Secondly, after coming for initial drinks, the waiter was nowhere to be found for the next 20 minutes. a bit too long. They did apologize for it, I want to acknowledge that. So yes, a good place for food, one just have to be aware that not everything runs smoothly for a restaurant in this price range. Our only issue - DaVinci indicated on there website that they validate parking (3 hours for $5) at the Clarendon Street Garage @ 100 Clarendon Street so we parked there. When I ask the manager to validate the ticket, he told me "they don't validate parking, they are still working on a arrangement with that garage" I told him its on there website and for that reason, we parked there. Parking cost $38. The service was amazing and the food impeccable. Everyone who we interacted was kind, caring, and easy to interact with. We did the Chef's tasting and the food was amazing. Each course was awesome. Excellent meal, the appetizer sample was fantastic, best fresh calamari we've had in a long time! I had a very bad experience in Davinci on Valentine’s Day, Me and my lady got there at 9:20pm and it took us 3 hours to get our 4 courses. It started with over an HOUR to get an appetizer that was very simple but for some reason our server kept doing circles but not helping us. Luckily another sever came up to us and asked what course were we on and we said no course so he got us some bread 40 min after we sat. I complained on an email i sent and never got a response! The food was subpar my tenderloin was over cooked and the service was one the worst services I’ve EVER had. I’ve been to a lot of great restaurants and this is not one of them flavors were good service was awful will never recommend this restaurant. The atmosphere was lovely but they set up way too many tables for Valentine’s Day and were not able to properly serve according to capacity. The food was delicious but the service was painfully slow. It took 1 hour and a half to go from our first dishes (salad) to our second plates (pasta). Otherwise it was a lovely night. Poor service, cold food, and overpriced. Restaurant would most likely be good on an average day, but three hours only to get to the main course during Valentine’s Day does not sit well for most people.